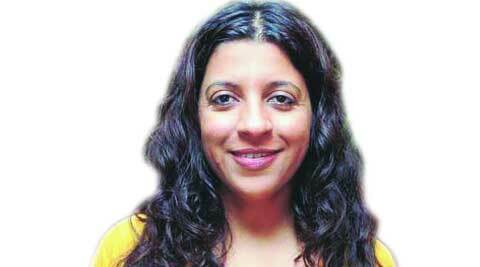 Zoya Akhtar’s next after Zindagi Na Milegi Dobara has been in the news for quite sometime. The director has finally confirmed that her upcoming film has been titled Dil Dhadakne Do. The film stars Anil Kapoor, Farhan Akhtar, Anushka Sharma with Ranveer Singh and Priyanka Chopra playing siblings. When contacted, Zoya confirmed the same and said,”Yes, we have confirmed the title Dil Dhadakne Do for our film. It is about a dysfunctional Punjabi family and will hit the screens on June 5, 2015. At this point, I can’t reveal anything more.” Her brother and actor Farhan also confirmed the film’s title and release date on a microblogging site last weekend. Sources close to the project stated that Akhtar is currently in talks with a few actresses, including Madhuri Dixit – Nene and Tabu, for a role opposite Kapoor in the film. Scheduled to go on floors in May, it will be shot extensively on a cruise liner in various locations in Europe including Spain and Turkey among others. Himesh Reshammiya will return to acting yet again, with The Xpose. Directed by Ananth Narayan Mahadevan, the film is a murder suspense music thriller, set in the late 1960s. Reshammiya has an all-new avatar for it, as he’s shed oodles of weight. He will play a suspended cop-turned-music superstar in the film, a character apparently inspired by yesteryear actor Raajkumar. The film also stars Yo Yo Honey Singh with Irrfan making a special appearance. Director Apoorva Lakhia has said that he is not making a film on Dawood Ibrahim’s sister Haseena Parker also known as the lady don of Nagpada in Mumbai. “I am not making a film on Haseena. Since I have a penchant for the genre, I was asked by the media, why don’t I make a gangster film on Dawood or his sister. I said I would love to and it was erroneously reported that I was making a film on her,” said Lakhia. 3 Beyonce splashes 700 pounds at an eatery?